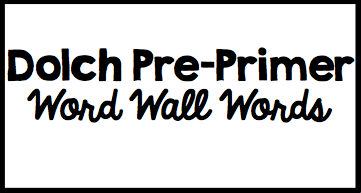 Word walls are such a powerful tool to have in your classroom! They help little scholars build spelling and phonics skills as well as serve as an amazing reference during literacy activities. Don't remember how to spell the word "said?" Check the word wall! 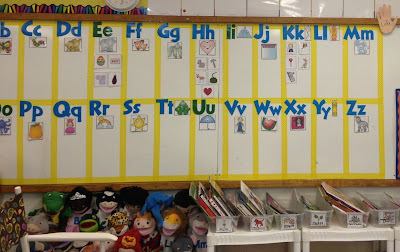 I begin each year with a pretty blank word wall--with just the letters on it (vowels are a different color than consonants) as well as initial sound pictures. The first week of school I add my little scholars' names to the word wall. This is when I begin teaching how use the word wall. 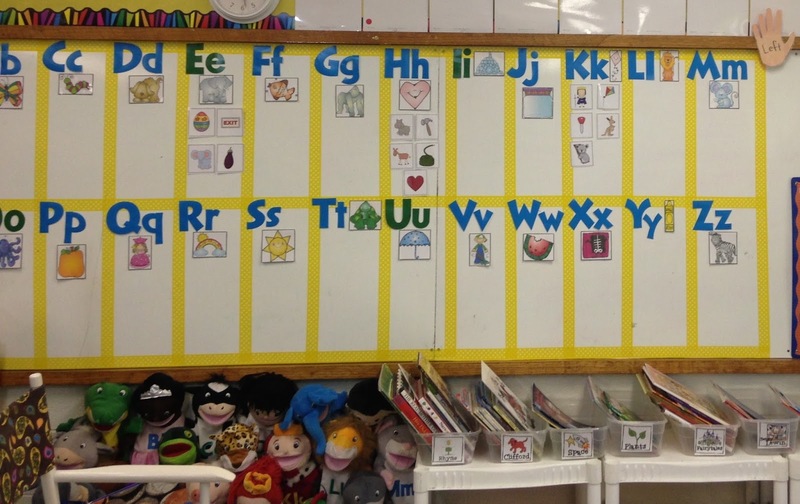 What better way to teach the purpose of a word wall than with the most important word to a child--their name! A word wall is just a decoration on the wall unless we teach our little scholars how to use it! 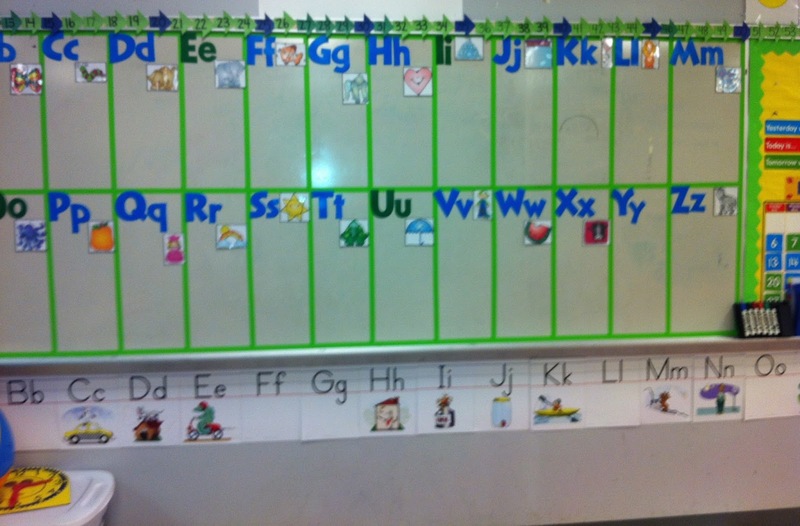 Here are two examples of word walls from my classroom: one from kindergarten and one from PreK. 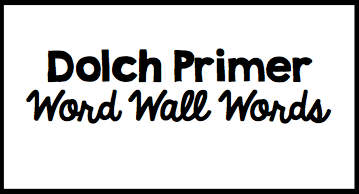 I read this post about Debbie Diller's suggestions for word walls which influenced why I chose this specific word wall design. This was a few weeks into school in Pre-K. We had to follow a letter of the week curriculum so we had already introduced Aa, Ee, Hh, and Kk. In kindergarten, as I introduced sight words or high frequency words I added them to the word wall. The word wall in my kindergarten classroom was on a whiteboard so I was able to use a piece of magnetic tape to affix the words to the whiteboard. I loved the magnet tape because if one of my little scholars needed to borrow a word during Writer's Workshop it came off the word wall easily. Download the word wall words by clicking either of the pictures below. 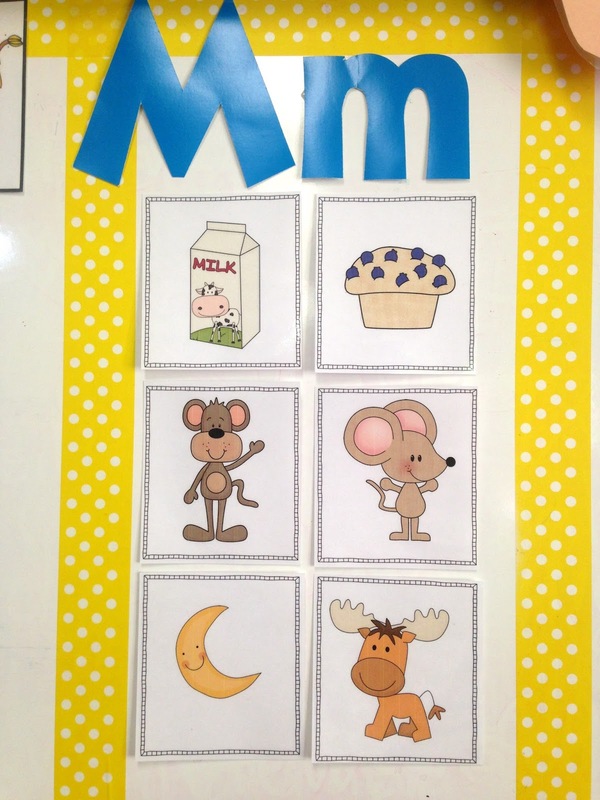 In Pre-K as we learned a new letter name and sound I added initial sound pictures from my Beginning Sounds Bonanza unit. Around March once all my little Pre-K scholars had learned letter names and sounds, I took most of the initial sound pictures down and added a few sight words. When I added the sight words, I indicated the sight word list it was on with a small colored circle in the corner. 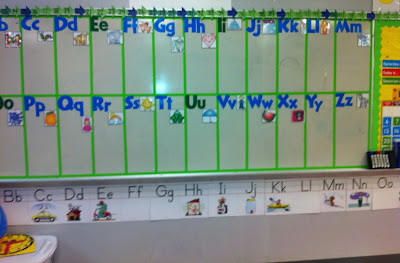 You can read more about how I organize sight words [here]. 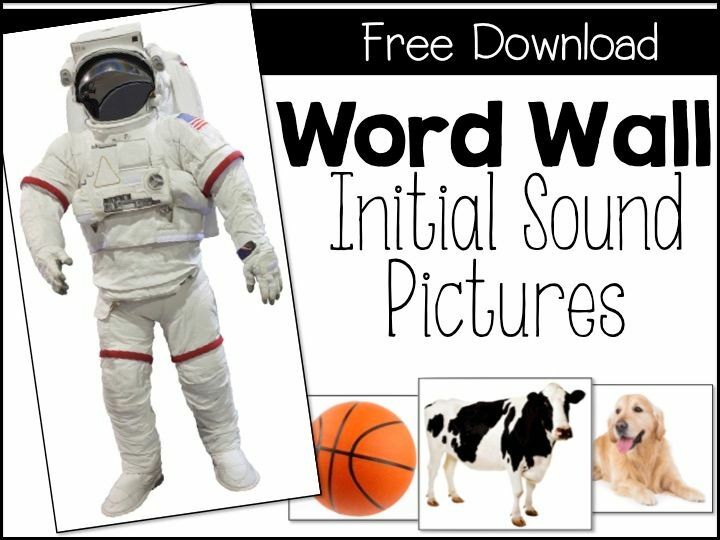 Using real photographs instead of clipart supports the shift towards nonfiction text so I've created a set of initial sound photographs for you to use on your word wall if you'd prefer--just click the picture to below to download them! 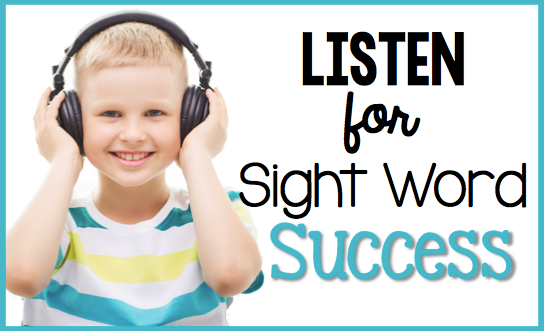 For more about how I teach and organize sight words, check out this post! Aww Thank you Jessica for posting me under your favorite blogs! Having taking some time off I am getting back into it!